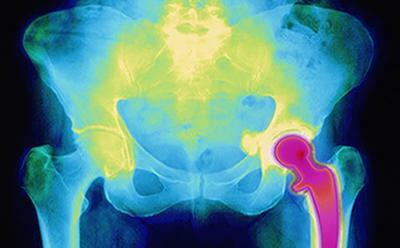 Researchers at the Medical Research Council Lifecourse Epidemiology Unit (MRC LEU), University of Southampton, found that men and women who had a spine fracture and women who had a hip fracture were more than twice as likely to experience long term widespread pain as those who had not had a fracture. The study, published in Archives of Osteoporosis, used the UK Biobank cohort of 500,000 adults aged between 40 and 69 years old, to investigate associations between a past history of fracture affecting upper and lower limb, spine or hip and the presence of chronic widespread body pain. The researchers considered possible effects of a wide range of further factors, including participant diet, lifestyle and body build, and, importantly, measures of psychological health. They found that the risk of chronic widespread body pain was increased if participants reported having a past fracture, especially spine and hip fractures. Professor Cyrus Cooper, Director of the MRC Lifecourse Epidemiology Unit, University of Southampton, added: “This study illustrates the importance for the University of Southampton and MRC Lifecourse Epidemiology Unit in leading large, multi-centre analyses on this internationally leading UK Biobank dataset. The findings will be built upon in further analyses that capitalise on the genetic and intensive musculoskeletal phenotyping components of the study in which we continue to play an important role."